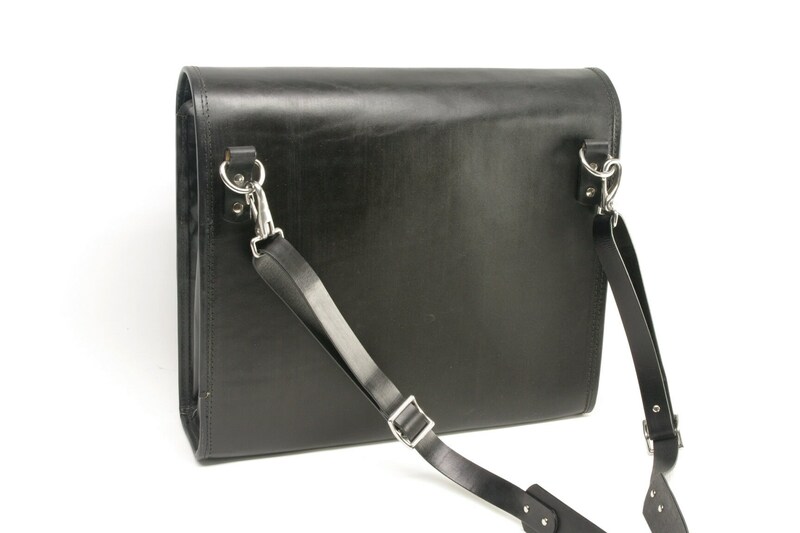 This is my original Large Messenger Bag, which I designed to be large enough to be a fully functional briefcase and still have room enough for your lunch, clothes for a weekend, etc. 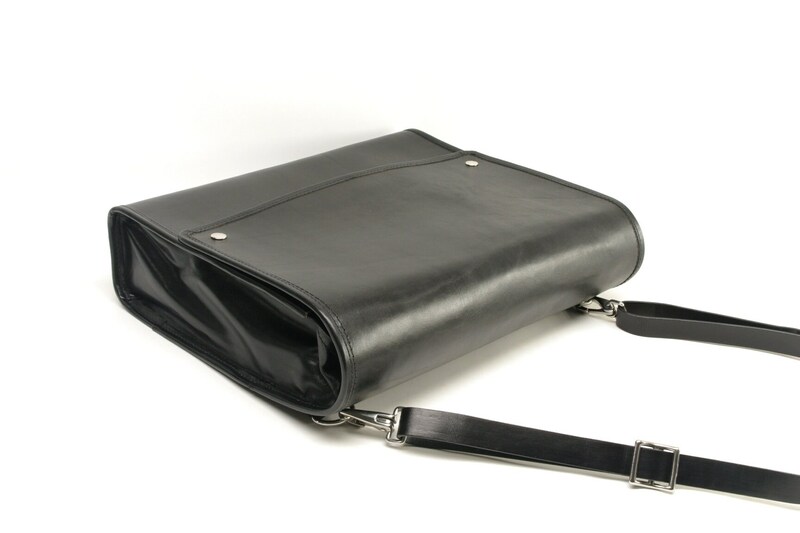 This is a large, roomy, organized bag which you will find quite comfortable to carry with you. 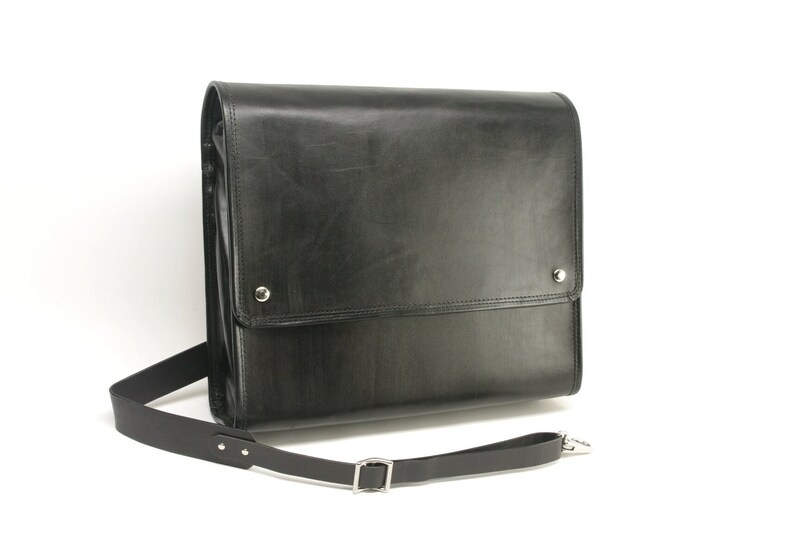 Outside, this bag is made with firm, oak-tanned leather which will soften as it breaks in yet still retain its shape. I use stainless steel and solid brass hardware. 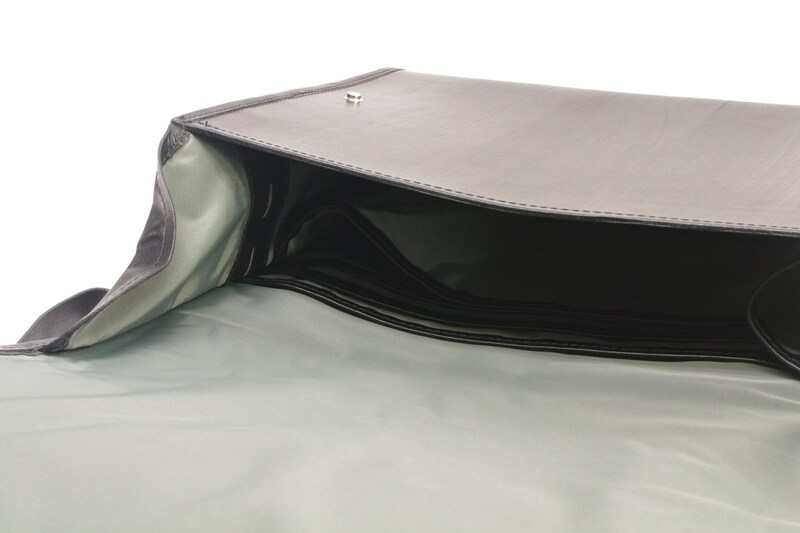 Inside, you will find this bag fully lined with waterproof rip-stop nylon lining. 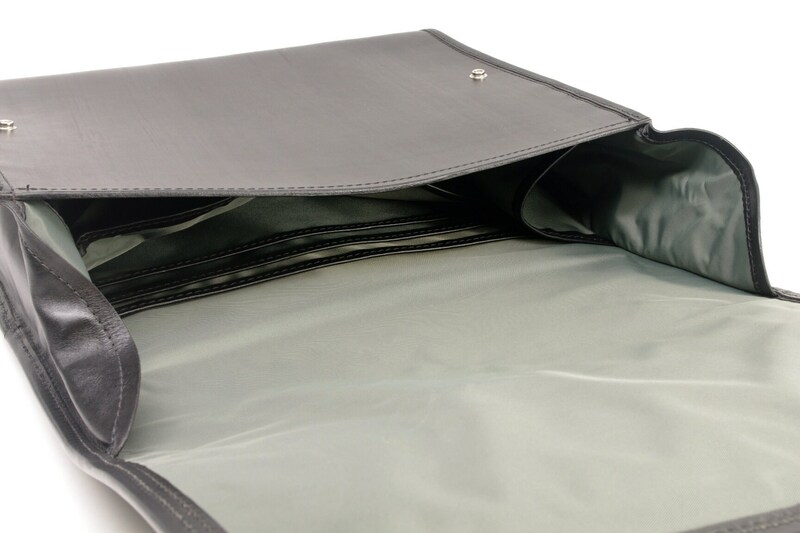 To keep your stuff organized, I included a laptop pocket, 6 stacked file pockets, 3 pen pockets, and a deep pocket for power cords. The flap on this bag snaps closed. The fully adjustable messenger-style strap is wide at the shoulder and makes this bag lay comfortably flat when worn across your body. 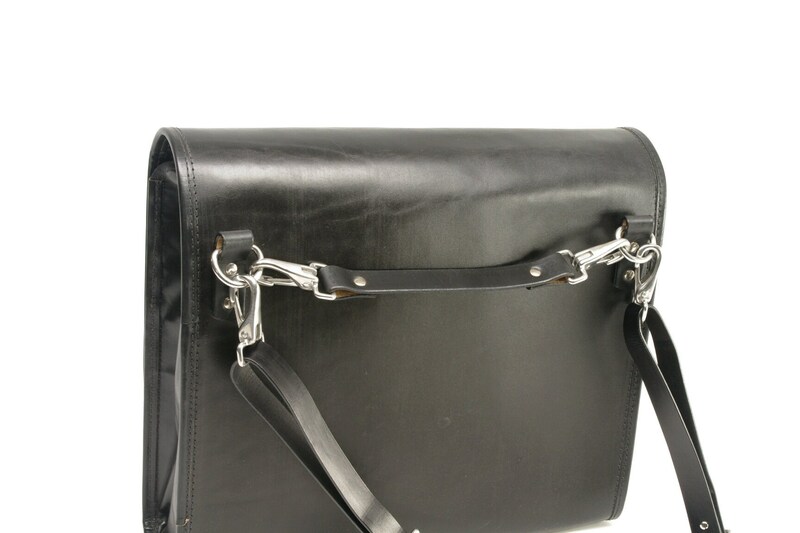 As with all my products, I made this bag with the best quality materials available and guarantee it for life. **Please Note: Sales of clearance items are final. I do, however, guarantee my work for life against defects.